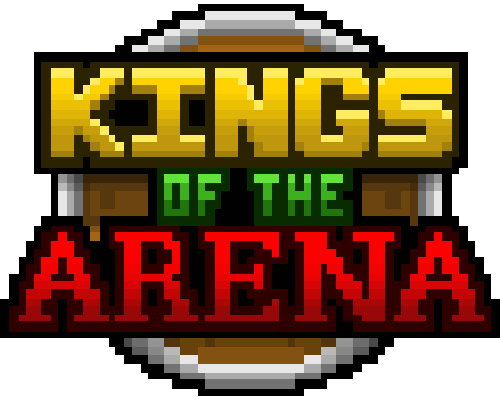 Kings of the Arena, is a fast-paced, multiplayer 2D action-shooter. 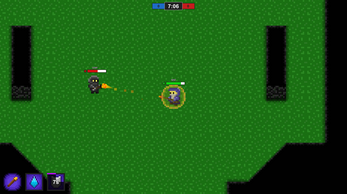 Choose from a range of different characters and battle it out in 3 different game modes. Fight by shooting projectiles and casting your 2, character specific abilities. Challenge your friends and people online to: Team Deathmatch, Arena mode and King of the Hill. 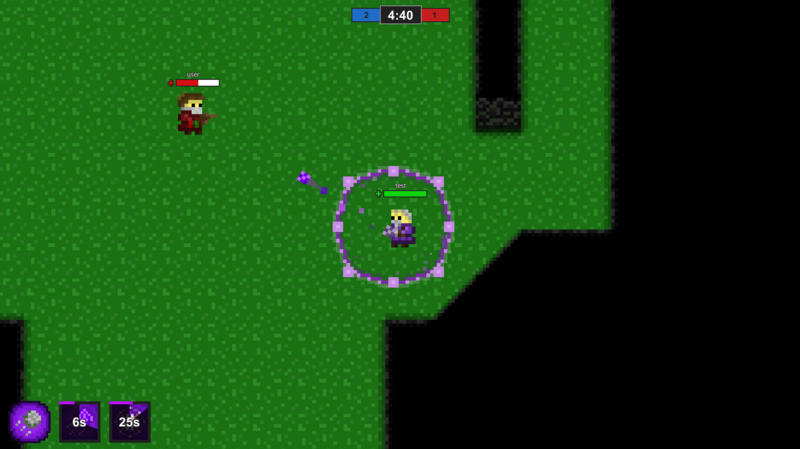 The game can support up to 10 players per game. 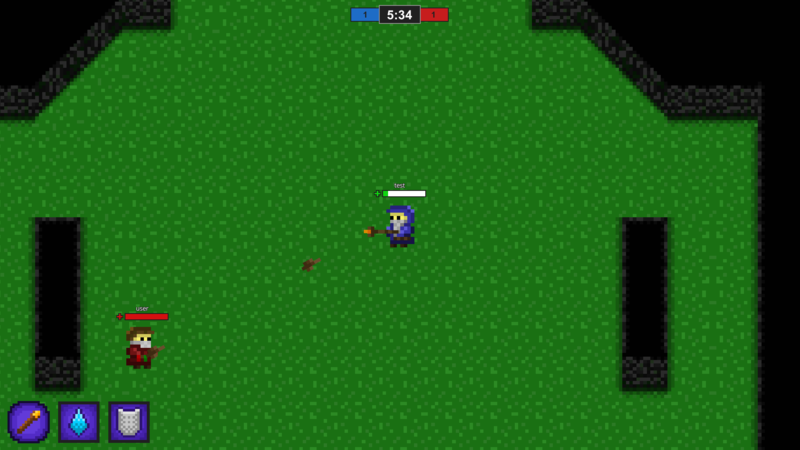 This game is currently un-finished and not in development. I may return to it in the future, but for now enjoy. 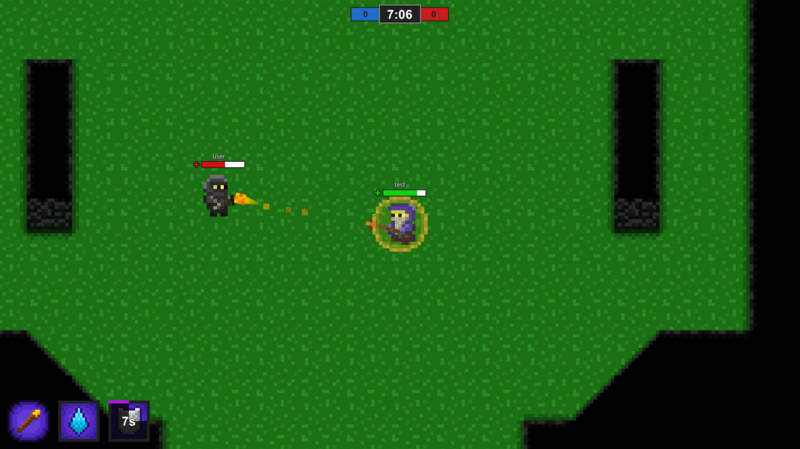 You can read up about the development process through the dev blogs. This game does have bugs. If you encounter any, just contact me @dbuckleydev.